It may sound like something out of a sci-fi movie, but it is happening. 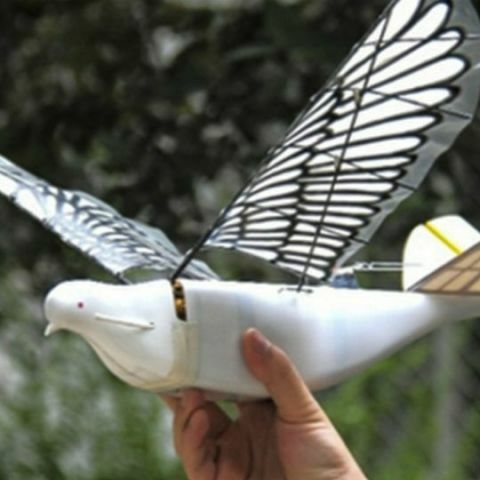 These bird drones are codenamed Doves and have flapping wings to mimic real birds. To move the wings, a pair of crank-rockers driven by electric motors are used. The scale of this project is still small, but it has good potential for large scale use says Yang Wenqing, a member of Song’s team. “Beijing's surveillance technologies, however discreet, can be avoided. But these drones will open a "new level of intrusiveness," Timothy R. Heath, Senior International Defence research analyst at global policy think tank The RAND Corporation, told CNET. A surveillance drone disguised as an animal sounds like something you would see in a movie. However, this brings to mind an episodes from the TV show Black Mirror. Season 4 Episode 3, the one where the insurance investigator goes on to scan people’s memories and episode 2 from season 4 where the mother keeps a close eye on her daughter through the implant in her head. These technologies may be invented with the intent to do good, but as we’ve seen with Facebook, no data goes unscanned and no data goes unexploited. The Doves may be a cool thing to check out as a piece of technology, but what is a little disturbing is the extent to which it can be misused. It also calls to mind Gorge Orwell’s book, 1984, where keeping a 24x7 check on people and feeding the public fake news is the norm. Rings a bell doesn’t it?